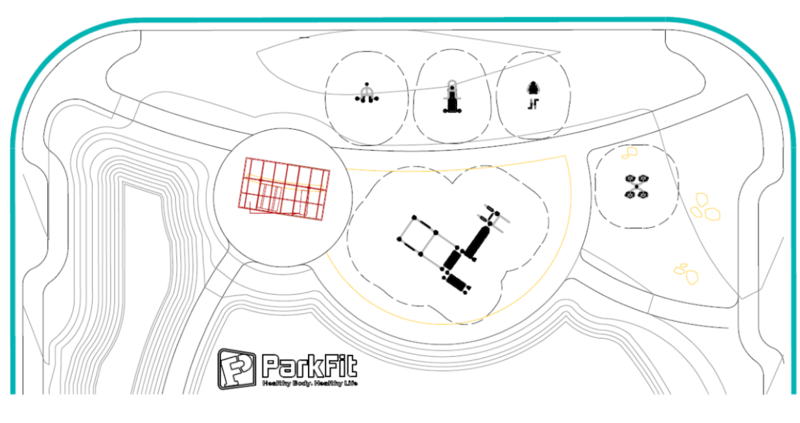 Our ParkFit consultants assist you step by step through the design process from initial concept right through to project delivery and beyond. We manage projects from simple installations to large landscape projects. All of your requirements for under-surfacing, edging and shade can be coordinated by us, eliminating the need for you to deal with multiple contractors. We also offer a collaborative service, often utilised by Landscape Architects, which provides regular input where needed for small areas of fitness equipment to larger concepts. We are happy to provide as much or as little design input as needed. We specialise in creating one-off designs for our customers. Our consultants can meet with you on site or in your offices to discuss the aim of the project. The ParkFit consultant are the end designer which means ‘lost in translations’ errors, when dealing with too many people, are eliminated. It makes for a much smoother design process. Having gained an understanding of your needs, we survey the proposed site, taking into account any environmental factors that may have a bearing on your project. We prepare 2D plans as well as computer generated 3D images of the proposed equipment. These will be presented to you with a quotation detailing all costs associated with the project. Upon acceptance of the quotation we will begin manufacturing the equipment and scheduling all works associated with the installation. With all manufacturing taking place in our own factory we are able to ensure strict quality control.